Today is one of my very favorite days of the year – not so much for the football, but more so for the mounds upon mounds of delicious, deep-fried, cheese-covered finger foods that typically invade American households to help us celebrate the most important sporting event of the season. 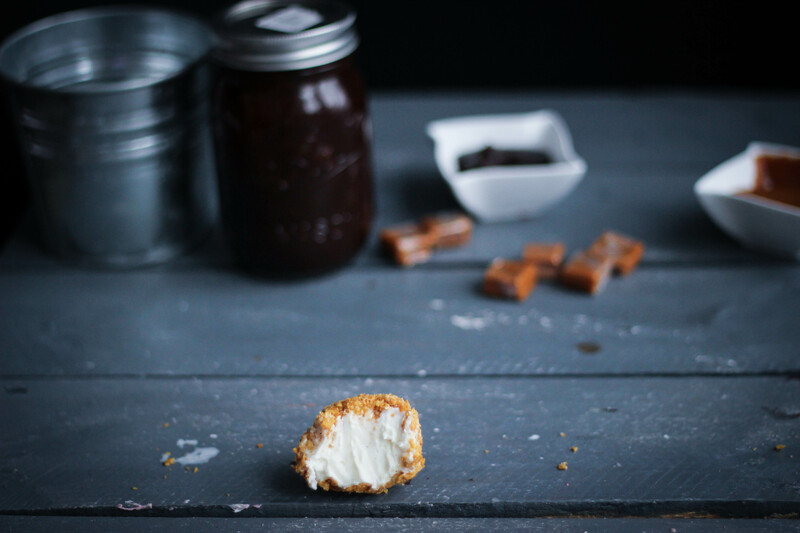 In celebration of this infamous day of gluttony, I wanted to make an ice cream treat that is everything Game Day food should be: hand-held, easy to eat, and over the top delicious. My next idea seemed conceptually awesome, but proved somewhat challenging in real life: an ice cream version of chips and dip. 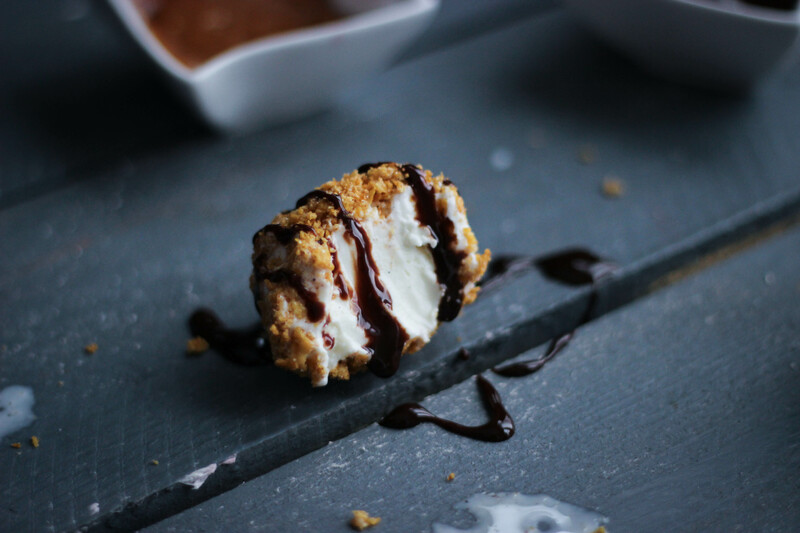 I spent several days experimenting with different ingredients and ended up with an end result that looked a little bit like chicken tenders covered in hot fudge. Surprisingly tasty, but nothing to write home (or on a blog) about. 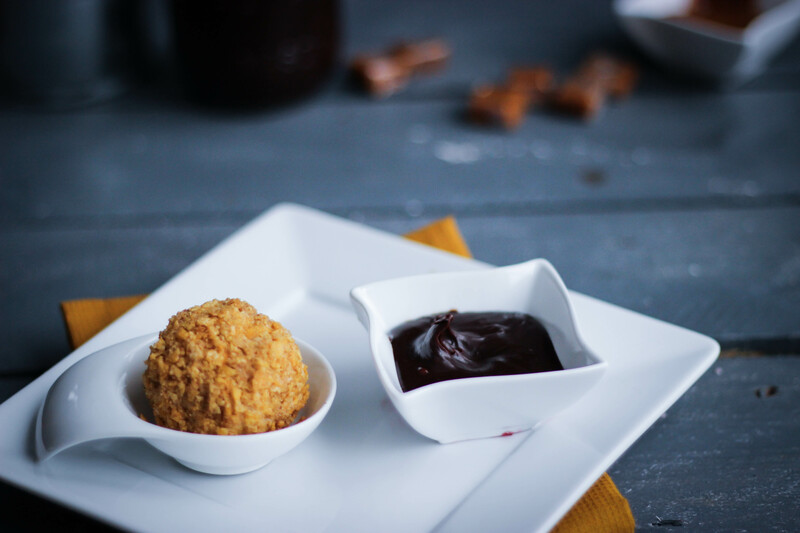 Sadly, I was back to square one..
Then, the other day while at the grocery store I noticed a giant bag of frozen sauerkraut balls (one of my favorite fried treats), and remembered something an old coworker told me about covering ice cream with Corn Flakes to make a bastardized version of fried ice cream. At the time, I was secretly repulsed by the idea (Corn Flakes and ice cream? Weird.). But today, on the most gluttonous and truly American of days, it seemed just right – faux fried balls of creamy goodness, covered in hot fudge, caramel, and strawberry sauces. I was in Super Bowl food heaven. 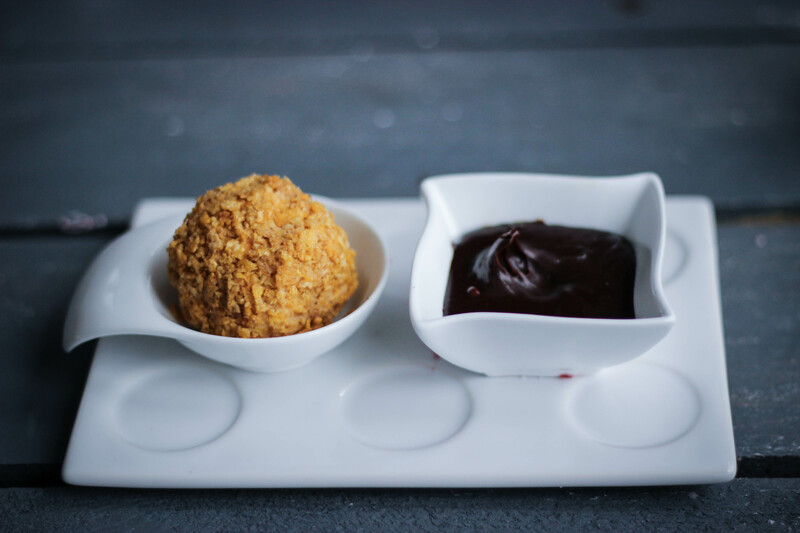 Without further ado, I present to you these little “fried” balls of ice cream that you can dress up with whatever sundae sauces you like. These were surprisingly easy to make, and I guarantee everyone will be super impressed with these tasty treats! What’s your favorite Super Bowl treat? Mix all ingredients together in a medium sized bowl, and spread out onto a cookie sheet in an even layer. Bake mixture until it is fragrant and golden, about 5 to 7 minutes. 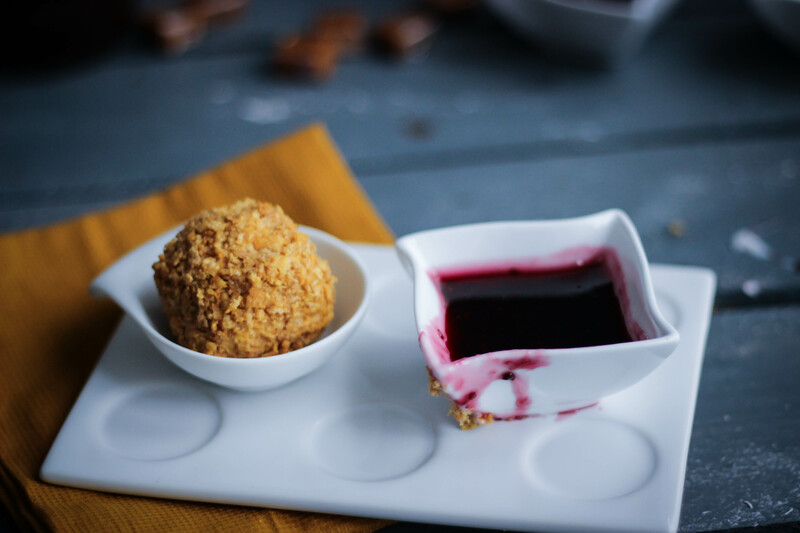 Scoop vanilla ice cream into ball shapes and rest atop a cookie sheet that has been covered in one sheet of parchment or wax paper. Freeze for one hour. 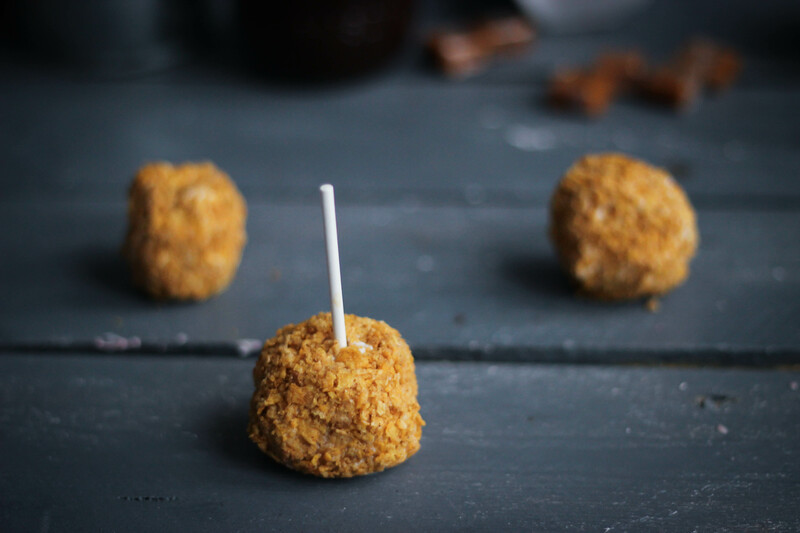 Remove ice cream balls from the freezer, and one by one cover in the cooled corn flake mixture. (I’ve found it’s easiest if you have a big bowl of the mixture and you just submerge the ice cream balls and roll around until covered). 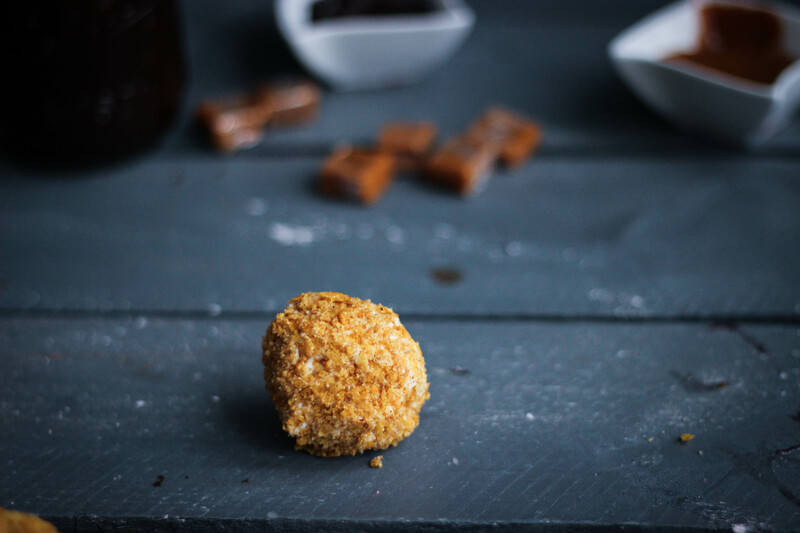 Once all of the balls have been “fried,” freeze for one to two hours or until desired hardness is achieved. 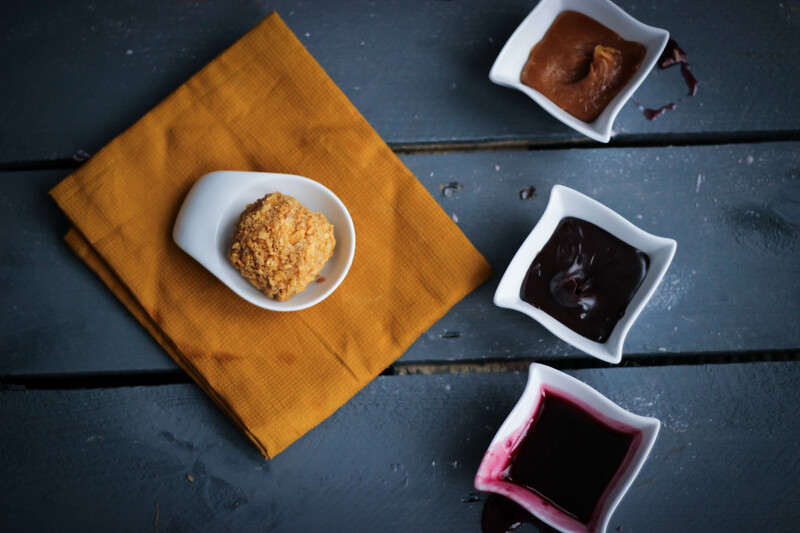 Serve with your favorite sundae sauces or syrups.